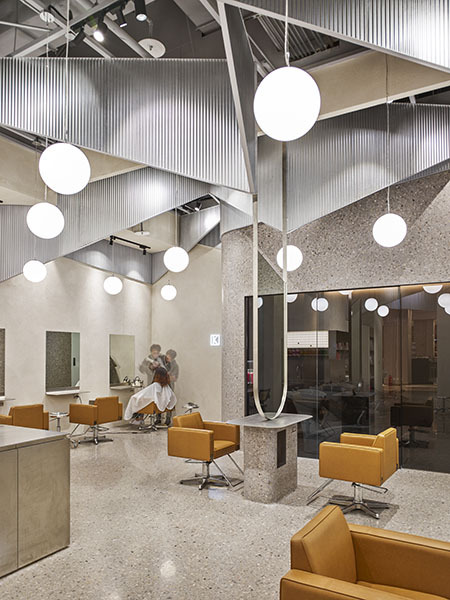 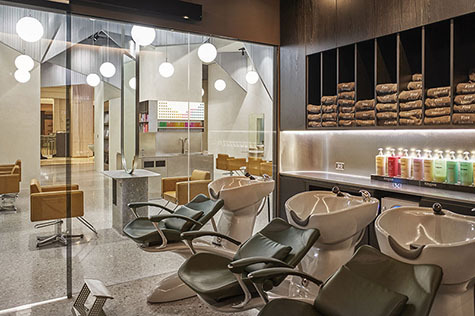 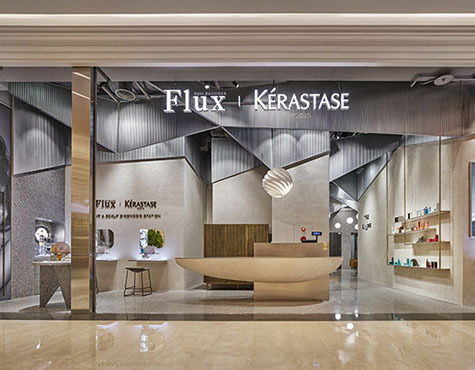 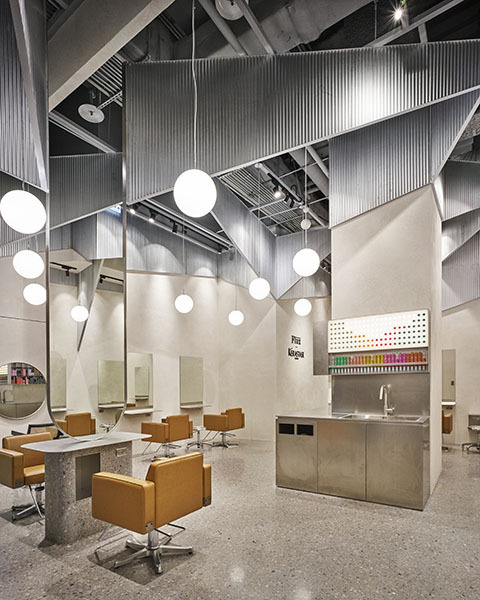 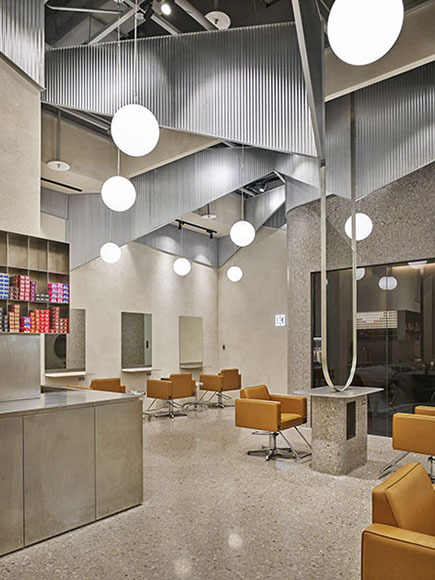 In collaboration with Kerastase, a professional hair product provider, the fashion salon Flux opened a new branch in Xin-Yi District of Taipei, expanding their shared service region. 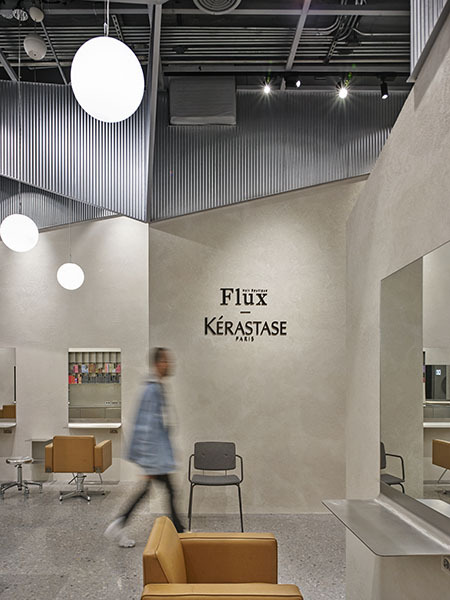 Co-branding was a business strategy for our clients, but we also considered it coherently as a spatial idea. 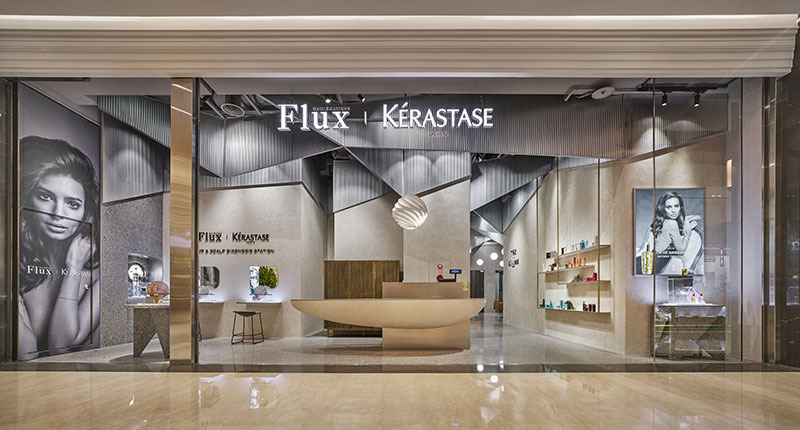 Extracted from branding names respectively, letter "X" and "K" look similar in terms of geometrical aspect, such that the morphological variation they shared could be the threshold that connects the two brand fields and unfolds the co-branding story by exploring basic geometry and its ambiguity of blurred shapes. 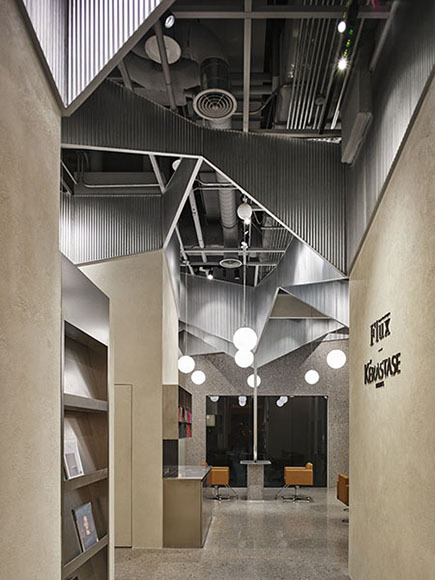 Intersection lines in varied sorts that characterize the letter also subdivide space into voids. The study of the letter morphology then changed into a spatial defining system. 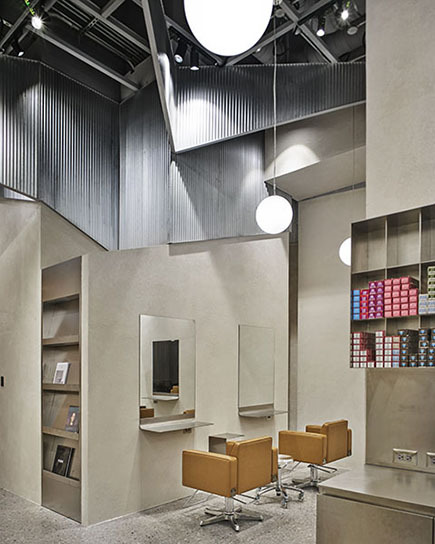 The high ceiling resembles the sublime image of a Gothic church. Combinations of angular corrugated metal boards reference the structure pattern of vault ribs. 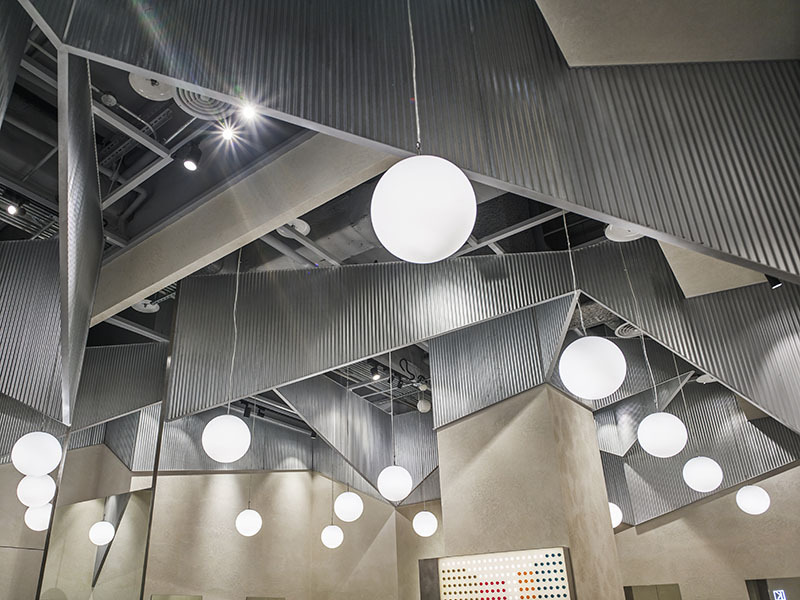 While walking underneath the angular ribs, customers sense a feeling as if housed in a church. 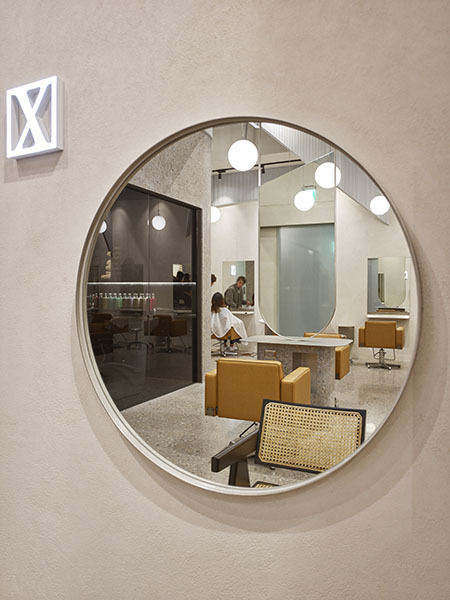 Mingled with classic and modern languages, the salon introduces its long-established reputation as well as cutting-edge fashionable frontier. Moreover, the linear texture of corrugated metal board looks like the appearance of well-treated hair; the staggered arranged ones simulate the multi-layered hairstyle when seen overlapped in a perspective view. 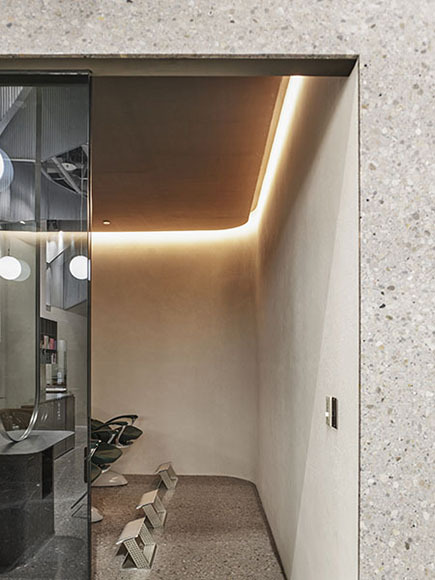 The roughness of plain terrazzo floor and white stucco walls contrast with the smoothness of the metal counter and shelves made of stainless steel, same for the bronze closet against the grey glass box. The luxury dialogue between contrast materials that are juxtaposed implicitly reveals a low-key sensuous pleasure. 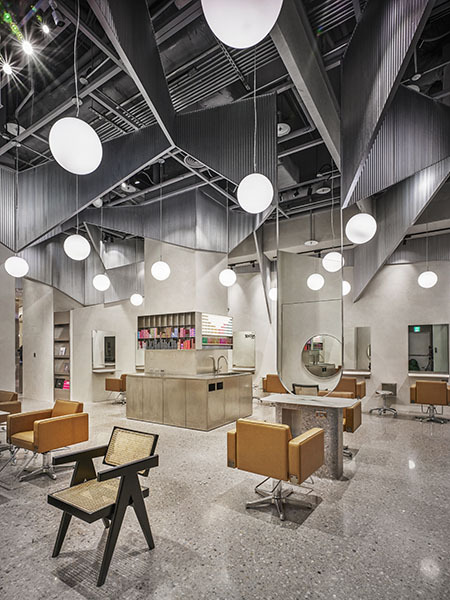 Spatial layout was divided into four sections. 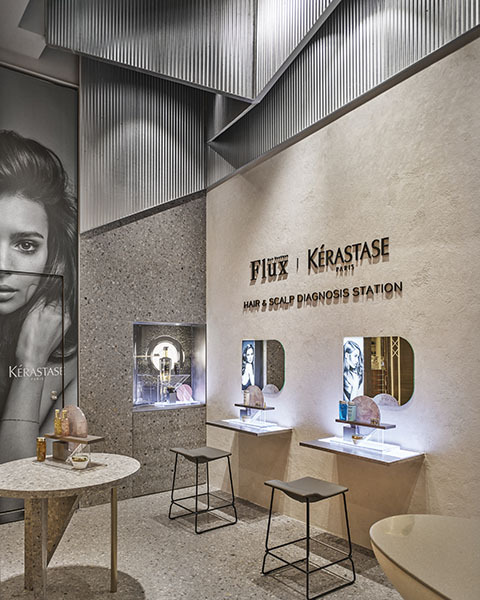 The front area houses the Kerastase, including a consultancy counter, meeting seats and display shelves. 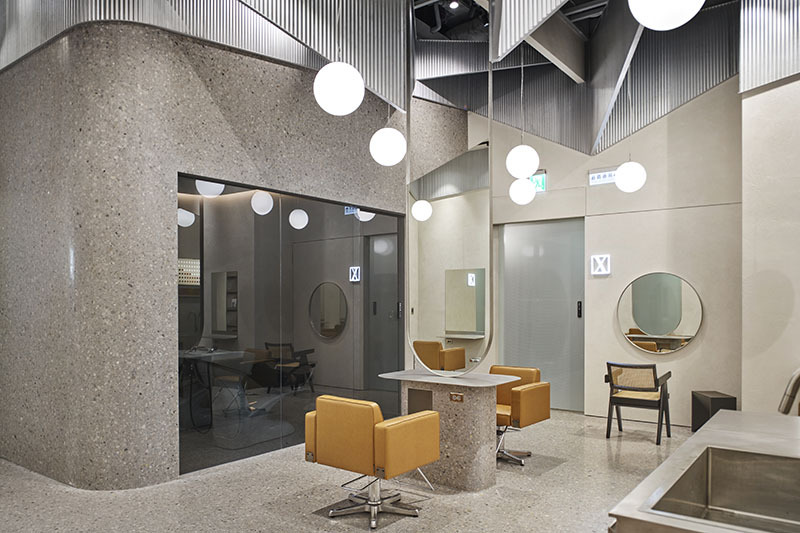 It is followed by a rectangular space for the salon, along whose perimeter are arranged 11 chairs with stations, two of which are placed in the end of the corridor, the focus point of an axis from the front. 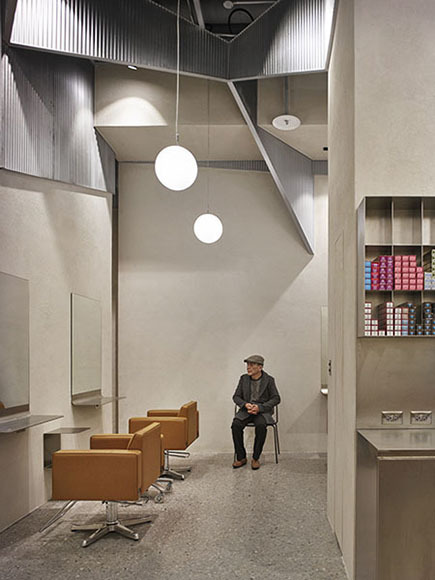 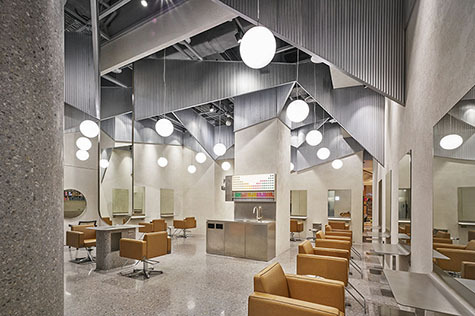 The visual exposure of the hair salon makes it possible for passersby to absorb the inner atmosphere. 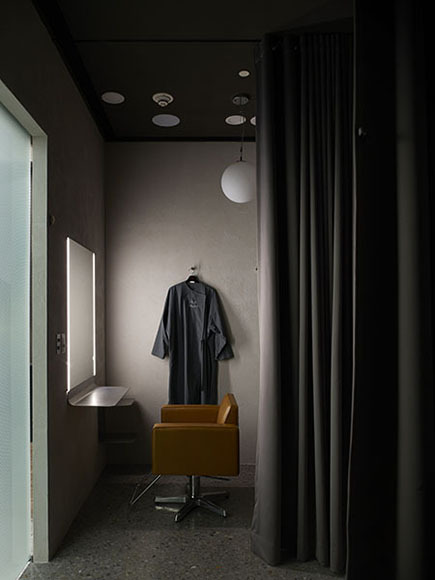 To the end sits a glass box where two rooms are nestled for scalp treatment and hair wash. On the side of the salon area, two VIP rooms are adjoined with an independent entry to increase service privacy. 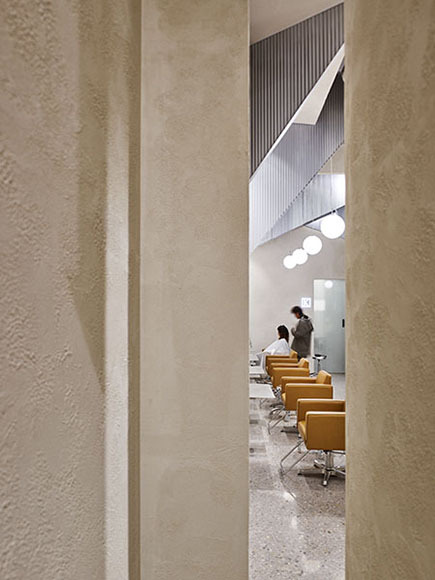 Furniture crucially intervenes a space like a sculpture does, acting as an annotation for the space. 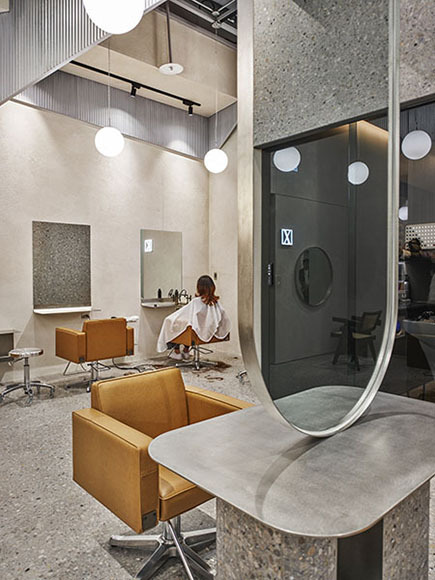 Carefully selected to resonate the space, each notable furniture accentuates its surrounding synthetically with its material, texture, color, shape and history.